The real challenge for enterprises in deploying an IoT solution today is the lack of neutral network integrators able to deliver solutions using any combination of LPWAN technologies. The LPWAN community is supported by several specialists using either Sigfox, LoRa, Ingenu or Weightless technologies, each with its strengths, weaknesses and distinct business models. Several mobile operators are promoting their own cellular LPWAN IoT networks including LTE-M (CAT-M1) and NB-IoT (CAT-NB1). Enterprises often require true global coverage and these different LPWAN technologies will likely live alongside each other for quite some time. Traditional IT system integrators have focused on integrating complex components and analytics to deliver a full IoT solution, including Accenture, Deloitte and PricewaterhouseCoopers, IBM and HP. Wireless 20/20 believes there is a lack of neutral network integrators able to deliver IoT network solutions using multiple technologies. 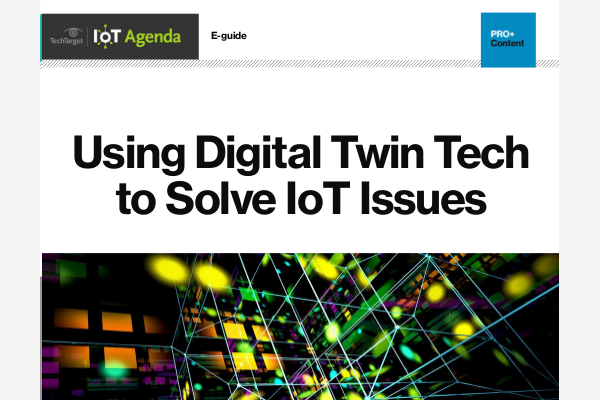 This article focuses on the key role played by IoT connectivity providers that can use any combination of technologies and match the right IoT network service to each use case and application. No one connectivity technology can meet all IoT requirements, and any solution will likely require multiple connectivity technologies just for coverage purposes for applications deployed today. Multiple connectivity solutions may be required just to meet the use case requirements, independent of coverage. Many solutions providers are tied to specific network technologies — and a neutral party is needed to sort through to the right answer. Low-power wide area network, or LPWAN, is a set of wide area wireless networking technologies that interconnect low-bandwidth, battery-powered devices with low bit rates over long ranges. The leading specialists in the LPWAN technology community include Sigfox, LoRa, Ingenu and Weightless. The primary advantage of LPWAN technologies is the ability to support a greater number of connected devices over a larger area with a lower cost with greater power efficiency than traditional mobile networks. The main challenge for enterprises is that none of the LPWAN networks are mature, so coverage is limited although improving every day. Strengths: Solid technology, large ecosystem, many devices, low cost, low predictable power consumption, managed service. Weaknesses: Relies on ultra-narrowband technology combined with DBPSK and GFSK modulation using 200 kHz of unlicensed spectrum in the 868 to 869 MHz and 902 to 928 MHz bands depending on regions. Limited network coverage in the U.S. since the company did not reach its 2017 buildout goals. Immature ecosystem, but improving rapidly. Business model: Business model flaws in subscription-based connectivity at low cost. Countries are franchised to a variety of carrier and utility partners. Strengths: Solid technology, large ecosystem, but largely private (not generally accessible) but improving, low cost, low not-as-predictable power consumption, it is mostly private and (mostly) not offered as a managed service. Weaknesses: No central service manager or clearinghouse to interoperate networks (not a managed service — both a pro and a con), wide-scale coverage in its infancy, needs a more robust open ecosystem. Monopoly (thus far) on chips make devices a little more expensive. Business model: Senet is the largest U.S.-based provider of LoRaWAN IoT technology with network coverage in 225 markets. Recently launched low-power wide area virtual network to offer IoT connectivity solutions for cable, CLEC and wireless operators. Comcast is also expanding its LoRa LPWAN-based network to 12 U.S. markets. Strengths: Random Phase Multiple Access (RPMA) technology uses the unlicensed 2.4 GHz ISM band. Supports higher speeds, closer to LTE in functionality. Ingenu reports its U.S. network currently covers around 45 million POPs. Weaknesses: Expensive network and solution. CEO John Horn abruptly left Ingenu during the summer of 2017. Looks unlikely to survive. Strengths: Narrowband modulation scheme, can operate in both sub-1GHz license exempt and licensed spectrum, offers full acknowledgement of 100% of uplink traffic for unmatched QoS in a system operating in unlicensed ISM and SRD spectrum. Weaknesses: Guarantee low cost and low risk, and to maximize user choice and ongoing innovation. Business model: Open global standard promoted by a SIG rather than a specific company with a proprietary technology. Here is a quick summary of the strengths, weaknesses and distinct business models for the leading Cellular LPWAN IoT network solutions including NB-IoT (CAT-NB1) and LTE-M (CAT-M1). Strengths: Carrier-backed, ubiquitous coverage due to it being an LTE upgrade, with higher data rates possible. Weaknesses: More expensive in terms of power consumption and device cost than other LPWAN technologies such as LoRa or Sigfox. The requirement for a SIM and pairing of some sort may also be an issue — compared to LPWANs that are paired at the factory. Business model: T-Mobile is the only major U.S. carrier to deploy NB-IoT as its low-power wide area network of choice. Verizon recently completed its first successful NB-IoT Guard band data session trials and plans to deploy an NB-IoT network across Verizon’s nationwide network in 2018. Strengths: Becoming pervasive — it offers higher data rates than LPWAN, but at higher cost and power consumption. Weaknesses: CAT-M probably provides the high end of the “LPWAN” segment. Business model: Verizon, AT&T and Sprint have all opted for LTE-M, another LPWA technology standardized by 3GPP, and have completed their initial nationwide LTE-M launches in 2017. T-Mobile became the first U.S. operator to launch NB-IoT commercially and has committed to extend coverage to a nationwide NB-IoT network during 2018. This would be a major feat if accomplished, and the announced pricing is aggressive and will give the LPWAN players pause. T-Mobile parent Deutsche Telekom (DT) recently updated its plans for its narrowband-IoT rollout across Europe. DT launched NB-IoT technology in Germany in 2017, and the network is now available in approximately 600 towns and cities across its home market, with more than 200 companies trialing the technology. This DT NB-IoT network deployment in six of its European markets was on track at the end of 2017, including Germany, Poland, Slovakia, Czech Republic, Hungary and Greece. Wireless 20/20 believes these different LPWAN technologies will likely live alongside each other for quite some time. The major technologies (Sigfox, LoRa, NB-IoT) will live alongside each other for a while, but only one may survive in the long run unless dual-mode chips become common. Shipping and logistics/supply chain: Much of the supply chain is national in scope and needs national coverage — pallets, shipping containers, truck trailers, etc. But a portion is also local. Use case is to track location and sense temperature and shock/vibration. Local = the last mile of product distribution — think local warehouse to convenience store for consumer goods, for example. Multiple modes are needed. Examples: A pallet en route may need to report location only when it starts or stops (LPWAN), but a pallet in a warehouse may need to report its contents to a smartphone (Bluetooth). Agriculture: Reasonably localized per customer, but national in scope with big areas in California and the Midwest. Ag requires large coverage areas with modest populations. Use cases = many and varied: tracking, soil sensors, moisture sensors, tank monitoring and many more. Multiple technologies may be required — LPWAN for remote areas and fields, Bluetooth for applications expected to communicate to a smartphone. Facilities and spaces: Localized per customer, but national in scope … such as major hotel chains like Marriott or Hyatt. Shopping malls and office complexes and resorts and casinos and theme parks are largely localized, but there may be many facilities under the same owner nationwide. Use cases include a varied portfolio — door open/close, irrigation on/off, soil moisture monitors, water leak detectors, buttons to provide a service and many more. Industrial: Usually localized coverage when talking about the factory or enterprise, but national when talking about supply chain. Use cases are varied: track inventory or tools within a factory facility, fuel tank levels, panic buttons for personnel, personnel tracking for safety, etc. Traditional IT system integrators, including Accenture, IBM, HP, Deloitte and PricewaterhouseCoopers have focused on integrating complex components and analytics to deliver a full IoT solution. Most of the traditional large system integrators focus on the higher end of the technology stack — connectivity is usually assumed to exist. Certainly, some of these companies can do large-scale Wi-Fi implementations and have solid experience with cellular services, but the core of their offerings focus on analytics and business process integration with legacy ERP and other systems. Newer connectivity solutions such as LPWAN are not yet fully integrated into their domain expertise. The current need for IoT network integrators is driven precisely by this need — the capability to determine the right network connectivity solution for lower tier access in terms of power consumption and cost is nascent, and this very capability is what determines whether new projects can be delivered at a reasonable ROI. IoT network integrators and connectivity providers can use all these technologies and match the right IoT network technology to each use case and application. IoT is not a one-size-fits-all environment in terms of connectivity. Every application and use case is different and connectivity requirements need to be evaluated on an individual use case basis. There are many parameters — cost, power consumption, latency, range, application, etc. Bluetooth may be the right answer for some, Wi-Fi may be the answer for others, LPWAN for still others. In our next blog post, Wireless 20/20 will examine how some of the leading neutral IoT network integrators can provide a deep and rich set of services to ensure the highest quality of service for mission-critical IoT network management solutions in the U.S. market. Ok, so I have a scenario: Complex factory-like environment; multi-floor, possibly multi-building. Construction is of all materials. Large and small, complex machinery; chemicals, some toxic, some radioactive; multiple sources of EM from the equipment and communication devices associated with humans and robot-like tools of various kinds. What company can go in, perform both on site and software modeling analysis, and install a heterogeneous communication network (transmitters, repeaters, etc) that has as the primary device a smartphone-like AI capability to the human, robot, and machinery and location?